Our Events Are Meant To Grow The Athletic Community, Your In Knowledge Of Sport & Promote Competition To Push Each Other To Become Better In All Aspects Of Life. Athletes Require Four Vital Skillsets To Compete At An Elite Level: Tactics, Strength & Conditioning, Nutrition, and Leadership-Team Development. Super Camps by M3 Athletics Deliver All Four Skillsets By Industry Professionals That Care About The Success Of Your Young Athlete In Life & Sport. 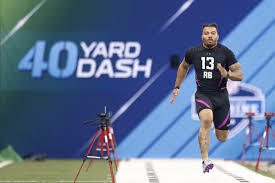 Football Players, Do You Know Your True 40y Speed? How About Pro Agility Times? If You Have Dreams Of Playing College Football Its Time To Put Yourself to The Test! Sign Up Now & Save $50 With Our Early Bird Special!